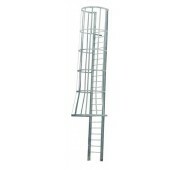 Alco-lite primed steel fixed ladder handrail to roof - Model PHrail. Flared walk-through top required. 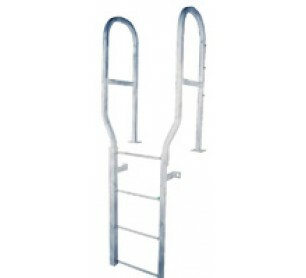 Allows easy, safe access to and from buildings or tanks. 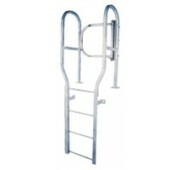 Can be customized to meet your needs. One coat shop primer with no surface preparation.